FOOTBALL: The test of a community is often what they're willing to do to help those around them. 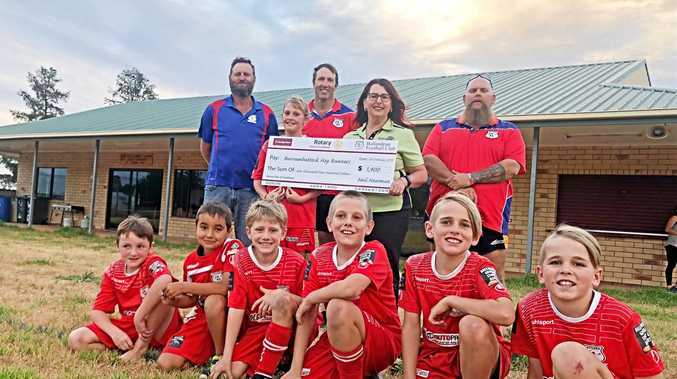 Despite the lingering drought and our own farmers doing it tough, one local club has put their hands in their pockets to support some severely affected farmers in other parts of the country. Ballandean Football Club last week donated $1400 to the Burrumbuttock Hay Runners, a project supported by Rotary. "If a farming community can't help another farming community then we're in trouble. I thought if we could at least help out with something it'd be good,” Ballandean FC's Jason Nash said. "It's only $1400, which these days is probably only a tank of fuel, but we're a little club and did what we could. The club used the Football Stanthorpe semi-finals at the tailend of last year which they hosted to raise the funds. "We just sold tickets that come from Stanthorpe Quality Meats, for meat trays, I think they donated all those,” Nash said. "We got all the little junior soccer players to go around and help us. Shirley Willoughby was a big part of it too. Rotary's Leeanne Gangemi thanked the club. "This is another example of the caring attitude of our local community,” she said. "We are suffering from drought locally in many ways, yet we are still donating to others. 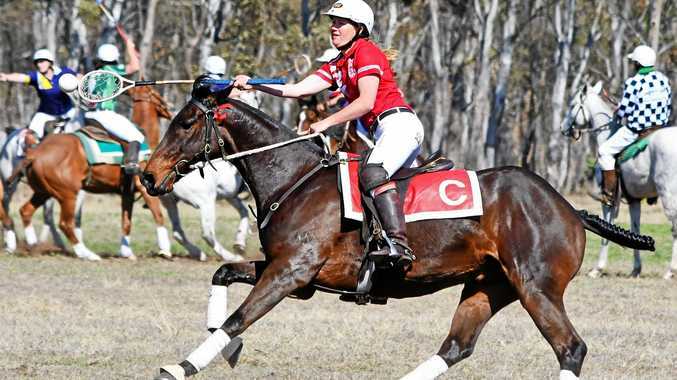 News There's few better feelings in sport than beating the elite on home turf and that's exactly what some Stanthorpe polocrosse players have achieved. News Blessed on the Granite Belt to have four distinct seasons. News Locals win plaudits at Spartan.